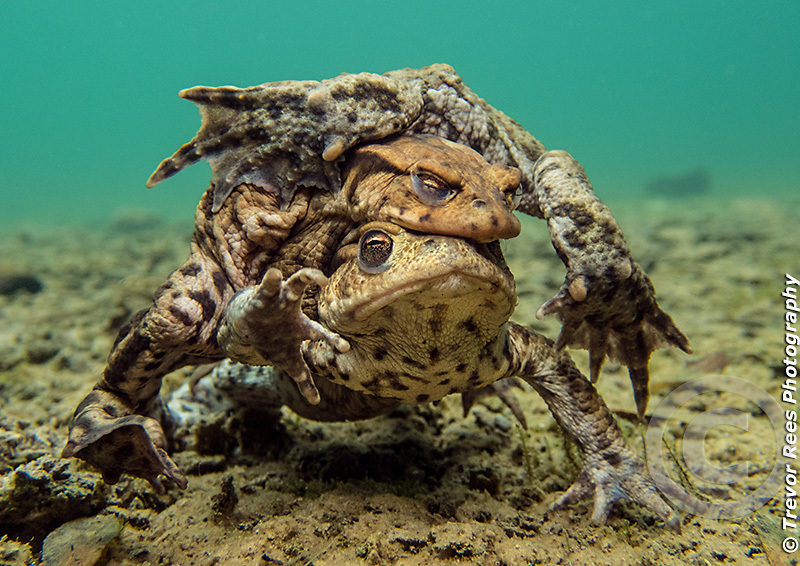 These mating toads are from Cromhall quarry in Gloucestershire, taken during spring time when toads make their way to the water to breed. This photo was taken in about 3 feet of water lying on the bottom whilst using an aqualung. These are the common European toad (Bufo bufo) and a female is seen struggling under the weight of two highly amorous males. My photo of this knot of toads proved a winner in BUPG's monthly competition where the category theme was Behaviour. Olympus TG4 compact camera in an Olympus underwater housing. Sea & Sea strobe.